The holidays are finally among us, bringing decorations and happiness into our homes. Unfortunately, some of the holiday cheer can be dangerous and potentially harmful to pets. 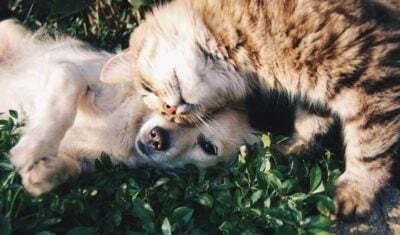 According to Head For The Hills Veterinarian Health Services, the top five reasons a pet visits the vet on Christmas Day are Gastritis/Enteritis, foreign body ingestion, soft tissue trauma, lacerations or bite wounds, and chocolate poisoning. Below are 6 holiday household items that may be present in your house, and we suggest you pet-proof your home accordingly in order to keep your furry friend safe and healthy! 1. Poisonous plants. 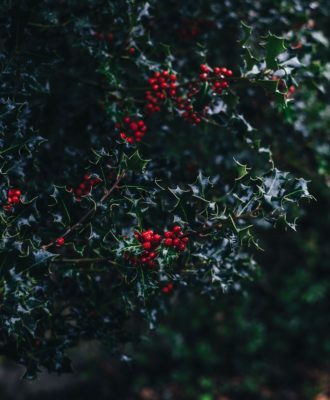 Poinsettias, amaryllis, mistletoe, balsam, pine, cedar, and holly are several holiday plants that can be poisonous to animals that ingest them. 2. Tinsel Town. Cats are immediately drawn to the sparkly “toy” we all know as tinsel. It’s fun to bat at and carry around, but if swallowed, your cat may have an obstructed digestive tract, severe vomiting, dehydration and possible surgery. Hang your tinsel high and out of reach or deck the halls with something else entirely! 3. Candles. Light candles in areas where your pet cannot reach them and accidentally knock them over, and never leave lighted candles unattended. 4. The Christmas Tree. Secure your Christmas tree so it doesn’t tip over, especially if you have cats that like to climb! Additionally, tree water which may have fertilizers that can cause an upset stomach if your pet decides to take a drink. 5. Sweets and Baked Goods. The artificial sweetener often found in baked goods, candy and chewing gum, xylitol, has been linked to liver failure and death in dogs. Don’t feed your pets people food that ma contain this sweetener! 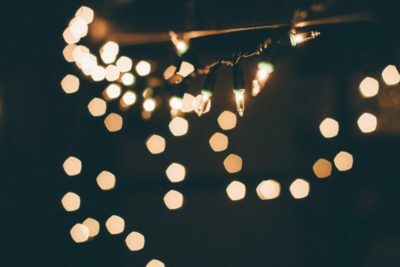 6.Electric lights. These can cause burns if a pet chews through the cords. Keep electric wiring out of reach or covered to avoid this pitfall. For more information and safety tips, check out: https://www.avma.org/public/PetCare/Pages/holidays.aspx?utm_source=prettyurl&utm_campaign=holiday&utm_term=holiday. We at Doobert wish you and your family a safe and happy holiday season!